The nozzle just got tightened a bit on water use in California -- but only a bit. Regulators today added new restrictions to those put in place last summer. Urban water customers will have a few more "don'ts" added to the list that came out last July, which includes prohibitions on things like washing your car without a shutoff nozzle and hosing down "hardscapes" like sidewalks and driveways. Local agencies will have 45 days to comply. Outside watering is a prime target as it makes up 44 percent of total urban water use. Local agencies have some flexibility with the two-day rule if they already have similar restrictions in place to achieve the same ends. There are also new reporting standards for local water agencies on restrictions they've put in place and agencies are required to notify customers with known water leaks on their properties. All of the measures seem tame compared to recent calls for statewide rationing, such as the one by NASA earth scientist Jay Famiglietti recently in the Los Angeles Times. "Those things, frankly, are going to have very minor impacts on total water demand but they raise awareness," added Peter Gleick, who heads the Oakland-based Pacific Institute, a water policy think tank. 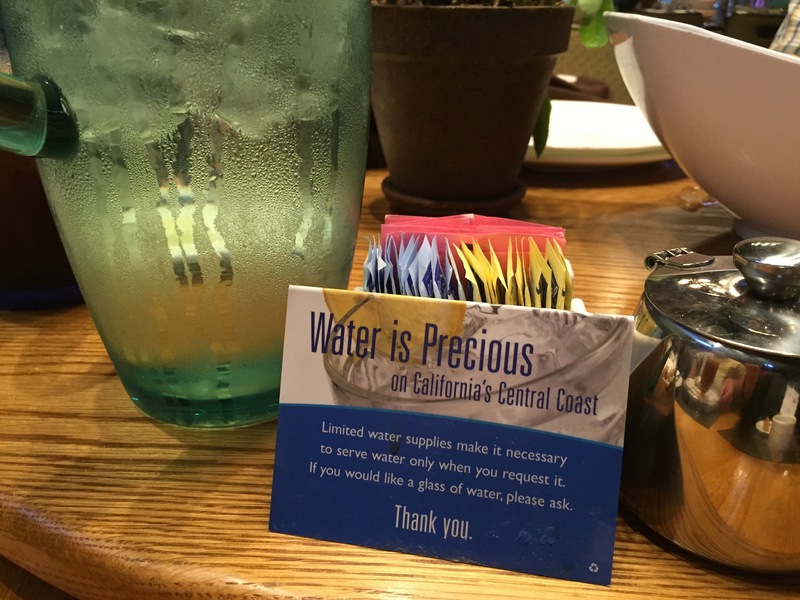 "In this fourth year of drought, we're going to have to move to a little more aggressive -- or maybe a lot more aggressive responses," Gleick told KQED's Forum program. "We've been trying to take modest measures to sort of light a fire under local agencies," says Felicia Marcus, who chairs the Board, essentially the state's final arbiter of most water matters. "My hope is that in this fourth year they will act." Much was made last summer of new fines of up to $500 that could be slapped on egregious water wasters, but it's unclear from talking to regulators if even one such fine has been assessed -- hence the new requirement that local agencies report such actions to the state. Marcus says her board was never beating the drum for big fines, but she adds, "I think local communities should be taking much more dramatic action." The staff report prepared for the board members said that "additional benefits will be realized" from the latest round of measures, but staffers conceded that it's not possible to "finely calculate" the savings, partly because of the lack of data available. The new actions come as the state's primary trade group for local water agencies released a poll on Californians' attitudes toward water conservation. According to the survey commissioned by the Association of California Water Agencies, 80 percent of those surveyed say the drought has already caused them to reduce water use, and two thirds say there is more they could do.